SCE Fill Solid constantly fills the matrix with a new color. 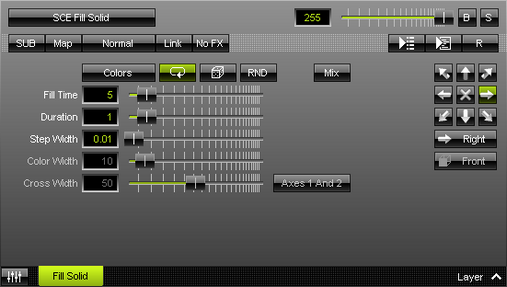 ▪ Color Width - Is only available for Color Mix Mode [»Using Colors And Intensity]. Defines the width of a single color [in %]. The default value is 10. Valid values range from 0.01 to 100.